As ONE Championship returns to its home-base of Singapore on 26 May, Asia’s largest sports media property has prepared one of its biggest cards yet for 2017. 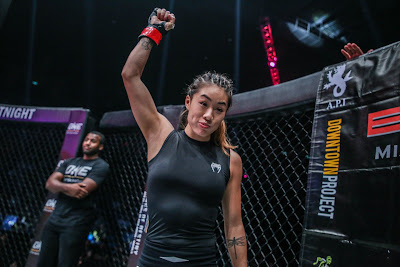 ONE Women’s Atomweight World Champion Angela “Unstoppable” Lee is set to square off with Brazil’s Istela Nunes in the main event of ONE: DYNASTY OF HEROES, which takes place at the 12,000-capacity Singapore Indoor Stadium. Considered as the face of women’s mixed martial arts in Asia, Lee is one of ONE Championship’s most outstanding athletes regardless of gender or weight class. The 20-year-old MMA sensation made history in May 2016 by capturing the inaugural ONE Women’s Atomweight World Championship belt with an awe-inspiring victory over Mei Yamaguchi. 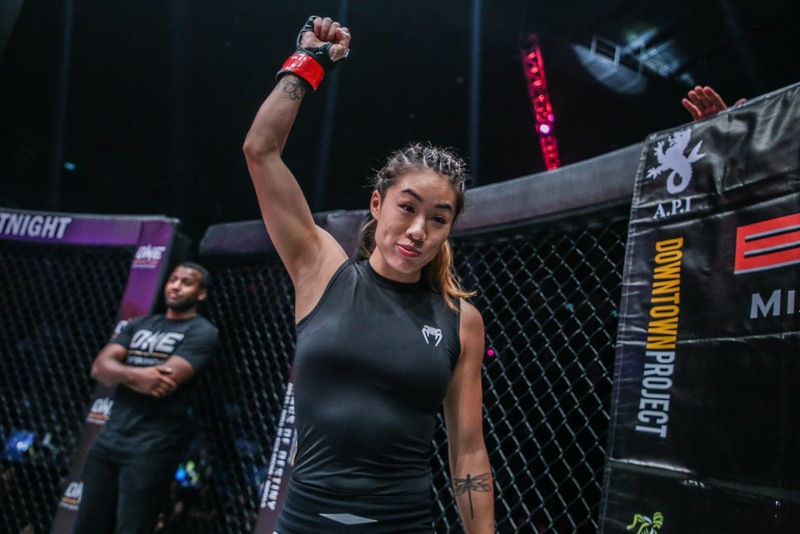 Lee’s beautiful combination of elite striking and grappling skills has proven to be a potent formula for success as she has remained unbeaten inside the ONE Championship cage. In her last trip to the cage, Lee dominated top contender Jenny Huang of Chinese Taipei with a masterful display of striking to successfully defend her gold-plated strap. There is no denying Lee’s dominance and fast rise to popularity in the constantly-evolving sport of MMA and as one of ONE Championship’s biggest draws. Despite her young age and the ever-increasing pressures around her, Lee is still loving life of being the champion, admitting that she looks forward to her next world title defense. “I’m very excited to be jumping back into the cage and defending my title for the second time. My last training camp for my first title defense was great. This one is going to be even better. It’s always a treat for me fighting in Singapore as I have great support from all my family and friends,” she stated. However, Nunes is an opponent who should not be underestimated as she is a two-time Muay Thai world champion with an unblemished 6-0 professional win-loss record. Nunes’ exciting style and knack for delivering powerful strikes makes for exciting fights and is one of the biggest components of her game. The 24-year-old Brazilian striker took on top-rated female atomweight Mei Yamaguchi in her last outing, winning a closely-contested split decision. At her best, Nunes is a well-rounded combatant with a solid striking and grappling skillset that gave her two career wins by finish. “Our styles are very explosive and it will be exciting for the fans to see. I think that Istela is a good opponent for me,” Lee said of her cage counterpart. While Lee is not underestimating the challenge ahead of her at ONE: DYNASTY OF HEROES, she feels that when it’s all said and done, she will have her hand raised in triumph at the end of the fight. Lee believes that she has what it takes to tame a ferocious striker like Nunes when they collide on 26 May. “She’s a good striker, but I know that I’m much more well-rounded. I feel like I can take this fight wherever I want it. Whether it’s on the feet or on the ground, I’m extremely confident in all areas,” she stressed. “I am the more complete fighter, and at the end of the day, that is what it comes down to. I have been doing this my whole life, and when we step into the cage, I know without a doubt I am going to come out victorious,” Lee ended.